Modest increases in wood fiber costs and a substantial rise in market pulp prices have improved profitability for many market pulp manufacturers worldwide during the second half of 2017. March 30, 2018 - Pulp manufacturers in many countries have seen their wood fiber costs go up during 2017, with the biggest increases in US dollar terms occurring in Western North America, Europe, Russia and Australia, reported the Wood Resource Quarterly (WRQ). However, market pulp prices increased even faster, resulting in a period of increased earnings by the pulp industry. According to WRQ, the Global Softwood Fiber Price Index (SFPI) increased for the third consecutive quarter to reach $89.08/odmt in the 4Q/17, 4.0% higher than in the same quarter in 2016. Hardwood fiber prices have also trended upwards over the past year, with the Global Hardwood Fiber Price Index (HFPI) reaching its highest level in almost three years during the 4Q/17. In US dollar terms, hardwood fiber prices have gone up the most in Europe, Russia and Indonesia during 2017. The only region that has experienced a decline in wood fiber costs has been the US South, where hardwood pulplog prices were 2.3 % lower in the 4Q/17 than in the 4Q/16. 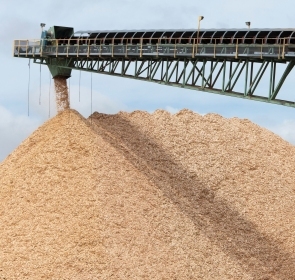 Wood fiber costs remain the single largest cost component in the manufacture of wood pulp, ranging between 40-60% of the total cash costs, depending on region and pulp grade. The wood fiber costs as a percentage of the price of Northern Bleached Softwood Kraft (NBSK) market pulp have been on a downward trajectory over the past eight years.